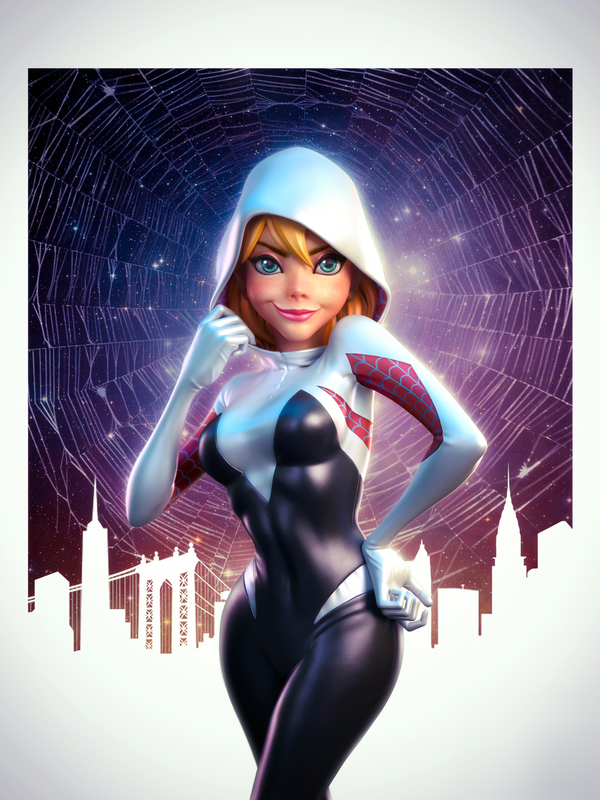 Hi guys, this is my new personal artwork, SPIDER-GWEN. I really like this new superhero by Marvel. I tried to capture her personality, which i admire a lot. She is brave, energetic, fun, optimistic, and sometimes annoying.